Catch big fish: Anglers learned how to catch large striped bass with live eels (shown in photo), lures, while trolling and much more at the George Poveromo Saltwater Sportsman National Seminar held Saturday. Approximately 700 anglers attended. 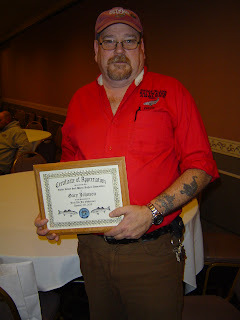 First Aid for anglers: Gary Johnson (with appreciation plaque), a 26 year veteran with the Coventry Fire Department, presented “First Aid for Fishermen” at a Rhode Island Saltwater Anglers Association meeting last week. The stock status and 2013 quota for black sea bass, a species often targeted by local anglers, is in question. The quota may be reduced as much as 39% to 46%. It is likely that regulations for both commercial and recreational fishing will change imposing new and more severe catch restrictions for 2013. These restrictions may include limiting the number of fish that can be taken, the length of the fishing season and/or the minimum length of fish allowed to be taken. In 2012 the RI recreational black sea bass season ran from June 15 to December 31 with a minimum size of 13” and a catch limit of fifteen fish. Anglers say we have plenty of black sea bass. In fact, more and larger black sea bass have been caught in the past couple of years. And, some science seems to support this. The Atlantic States Marine Fisheries Commission (ASMFC) sets coastwide quotas for the species. The ASMFC stock peer review set the rebuilding goal at 27.6 million pounds of spawning stock biomass and the current spawning stock size is at or above the biomass goal. However, limited information on black sea bass was integrated into a mathematical model called a statistical catch at length model (SCALE). Despite the applied modeling approach, black sea bass is still considered a “data poor” stock said Jamie McNamee, marine biologist in Marine Fisheries for the RI Department of Environmental Management’s (DEM) Fish & Wildlife Division. Recreational black sea bass landings and targets were analyzed on a coastwide basis until 2011. Landings were in check until 2009, when the harvest target was exceeded by 104%. In 2010 we experienced a 70% overage with led to the ASMFC allowing states to manage targets and landings. In 2012 harvest targets are projected to be exceeded by well over 100% (data still being analyzed). So, this year the ASMFC is working on Addendum XXIII which will come forward to establish harvest targets for 2013 which are expected to translate into more restrictive recreational (and commercial) fishing regulations. The good news is that the ASMFC realizes that the health of the stock and target catch limits are not in sync. At a special Science and Statics (SCS) committee meeting on January 23rd, the constant catch reference period was raised, increasing harvest targets for both commercial and recreational fisheries and likely avoiding a complete fishery shut down for 2014. Some other good news is that black sea bass in about to have an ASMFC “operational assessment” in 2013. This assessment is expected to enhance analysis which is expected to put harvest targets more in line with the health of the fishery that everyone seems to be experiencing. But for 2013, more rigid regulations are coming. Black sea bass (BSB) is a delicate, sweet-tasting saltwater fish. The firm, white flesh of this species is a favorite of many. They have the ability to adjust their color to blend in with the bottom in colors ranging from grey, brown and black to a deep indigo hue. They spend most of their time around the bottom and can be found near rocky areas, jetties, rips and, like a lot of bottom fish, they like structure. BSB are hermaphroditic fish… they begin life as female then turn male. They put up a good feisty fight but do not grow to be huge fish in the Northeast. The largest black sea bass caught was 9 pounds, 8 ounces and about 19.7” long. Ideal water temperature for black sea bass is 59 to 64 degrees. Scup advisory panel (AP) met last week. Stock is considered rebuilt and is not considered overfished and is not currently experiencing overfishing. The AP recommended a reduced minimum size from 10.5 to 10” and a possession limit of 25 (form 20) with a season from May 1 to December 31. For party and charter boats the AP recommended a minimum size of 11”, a limit of 20 fish with a special 45 fish season running September 1 to October 31. Summer flounder (fluke) is not overfished and the stock is considered rebuilt. Current recruitment is slightly below average (and has been in each subsequent stock assessment update). Target recreational landings for RI in 2012 were 157,855 fish; projected landings for 2012 are 103,669 fish. This is approximately a 36.6% underage. The AP recommended a minimum size of 18” (rather than the current 18.5”), a catch limit of eight fish and a May 1 to December 31 season. Tautog stock is considered overfished with the regional stock assessment looking like overfishing is not occurring in 2012. A benchmark assessment is scheduled for 2013. DEM proposed no changes for commercial and recreational tautog for 2013. There was an AP proposal to start the season March 1. Minimum size still 16” with a catch limit of three fish from April 15 to May 31 and August 1 to October 19 (season closed during spawning from June 1 to July 31). Catch limit increases to six from October 20 to December 31 with a vessel limit of ten fish in all open periods (which does not apply to party and charter boats). The next RIMFC meeting to discuss AP and public hearing recommendations is scheduled for March 4, 2013. 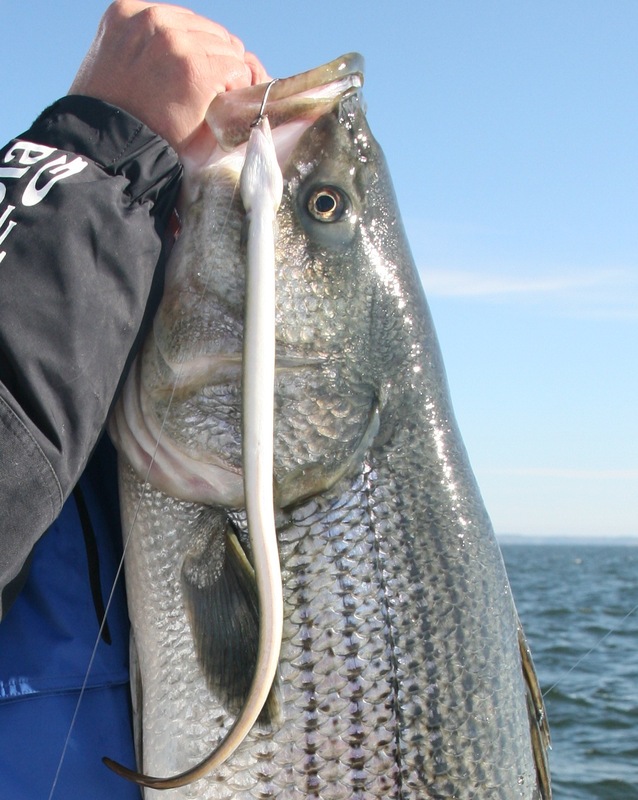 In the meantime there is an Atlantic Menhaden advisory panel meeting scheduled for February 11 and a public hearing scheduled for Tuesday, February 19 to consider management plan recommendations on striped bass, spiny dogfish, sharks and lobster management plans. The hearing will take plans at 6:00 p.m. in the URI Bay Campus Corless Auditorium, South Ferry Road, Narragansett, RI. Check AP and public hearing details at www.dem.ri.gov. The Salt Water Sportsman National Seminar Series held Saturday was a huge success with approximately 700 people in attendance. George Poveromo, host of George Poveromo’s World of Saltwater Fishing on the NBC Sports Network, and editor-at-large for Salt Water Sportsman ran an informative and entertaining seminar. He was assisted by Tom Richardson, noted New England angler and a prominent fishing writer and editor. Eleven captains and fishing experts were on and off the stage addressing how to catch species such as striped bass, fluke, tuna, black sea bass, tautog and more. I had the honor of being on stage with the pros as a local captain and couldn’t have been happier talking about fishing with anglers for the entire day. Ice fishing. Tom Mooney of Johnston said he was taking advantage of the good ice fishing weather last week. He landed some nice perch and pickerel in the 3 to 4 lbs range fishing at Indian Lake in South County. Bill Gill on the RISAA blog this week reported that two ice fishing tournaments have been rescheduled for February 9, 2013. They are the Between the Cracks Tournament at Crystal Lake/Sucker Pond in Maplesville, RI (call 401.651.5680 for information) and the Valley Angler Jig and Pig tournament at Candlewood Lake in New Fairfield, CT (call 303.792.8324 for information. Cod fishing. Andy Dangelo has been captaining the Seven B’s party boat this winter. Andy said, “The cod bite has been excellent but with high winds and seas we haven’t been able to get out much.” Visit www.sevenbs.com or call 401.789.9250 to check sailing schedules. Visit www.francesfleet.com for the sailing schedule of Frances Fleet boats. 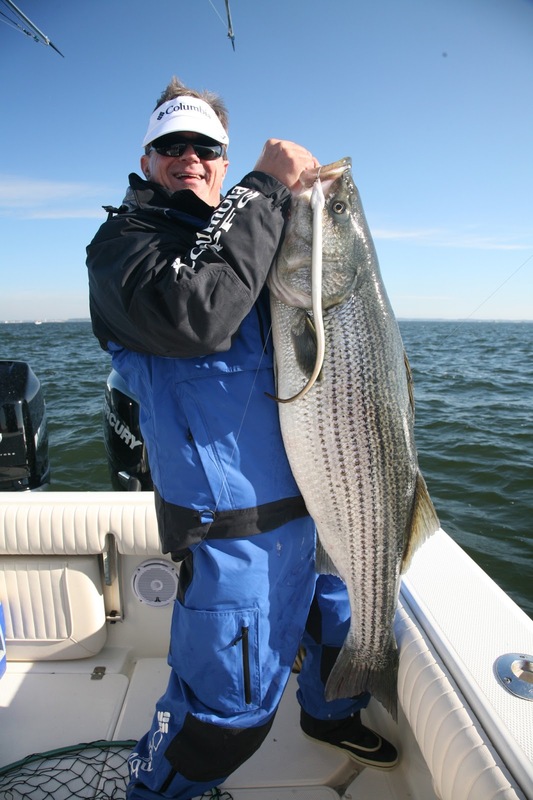 Learn how to catch big fish: George Poveromo, all smiles after landing this 39-pound striped bass, will host the Salt Water Sportsman National Seminar Series this Saturday at Rhode Island College. Poveromo is also the host of the NBC Sports Network television series - George Poveromo's World of Saltwater Fishing. On patrol: Members of the U.S. Coast Guard Auxiliary North Star Flotilla (shown here on patrol) are helping boaters sharpen their skills this winter by offering three courses. The Salt Water Sportsman National Seminar Series will be held in Providence, Rhode Island this Saturday, February 2, 9:00 a.m. to 4:00 p.m. at Roberts Hall Auditorium, Rhode Island College. George Poveromo, host of George Poveromo’s World of Saltwater Fishing on the NBC Sports Network, and editor-at-large for Salt Water Sportsman, will headline the program, along with Tom Richardson, noted New England angler and a prominent fishing writer and editor. Eleven captains and fishing experts will be on stage including local captain Andy Dangelo, distinguished authority on catching tuna, and sharks, as well as trophy fluke, blackfish and cod with his charter boat, Maridee II and Captain Dave Monti (author of this column), New England pro with 40 years of experience fishing on Narragansett Bay and off coastal shores for striped bass, fluke and tautog with his boat Angel Light from “No Fluke Charters”. Seminar Series tickets are $55.00 each. The ticket price covers six hours of instruction from the best pros in the business, and a gift bag that includes a course textbook, a one-year subscription or extension to Salt Water Sportsman and a host of other items. Participants receive chances to win thousands of dollars worth of door prizes. The Grand Prize is a Bahamas fishing trip for two to the prestigious Bimini Sands Resort & Marina. The Super Grand Prize, to be awarded two weeks after the conclusion of the 2013 series, is a new Mako Pro Skiff 17’ center console. Register by calling (800) 448-7360, or visit www.nationalseminarseries.com. Dave Pollack and Capt. Ray Stachelek are organizing volunteers for the annual Cinder Worm fly tying and fishing program with RI Department of Environmental Management (DEM) and the United States Fish & Wildlife (USF&W) service at their Kettle Pond Nature Center. The program includes fly tying workshops on Tuesday, April 30 and Monday, May 6, and then fly fishing with the flies at Ninigret Pond on Saturday, May 11. A formal announcement with registration information will be published in a month or, however, they are asking for volunteers to help with the program. 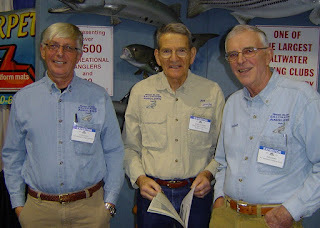 In the past Connecticut and Rhody Fly Rodders as well as members of the Rhode Island Saltwater Anglers Association have volunteered and mentored at the fly tying and fishing sessions. USF&W and RI DEM will provide tools, materials and tackle for the sessions. If you are interested in helping out with fly tying or fishing contact Dave Pollack dpollipo@cox.net or Capt. Ray Stachelek at castaflycharters@cox.net. This spring, the Atlantic States Marine Fisheries Commission will begin work on the 2014 benchmark stock assessment for tautog. The assessment will be used to evaluate the health of the tautog stock and inform the management of this species. The Commission’s stock assessment process and meetings are open to the public with the date workshop being held March 25 to 29, 2013 and an assessment workshop that will take place in the fall of 2013 (date and meeting locations to be determined). The Commission welcomes the submission of data sources that will improve the accuracy of the assessment. This includes, but is not limited to, data on landings and discards (commercial and recreational), catch per unit effort, biological samples (length, age, frequency), and life history information (growth, maturity, fecundity, spawning stock biomass weights, natural mortality). The data workshop will review all available data sources for tautog and identify data sets that will be incorporated in the stock assessment. An assessment workshop will include model development and parameterization of the accepted data sets. The benchmark stock assessment will be peer reviewed in the summer of 2014. For those interested in submitting data and/or attending the tautog data workshop (space is limited), contact Dr. Katie Drew, ASMFC Stock Assessment Scientist at kdrew@asmfc.org or 703.842.0740. The deadline for data submission is Friday, February 22, 2013. The Coast Guard Auxiliary is offering a range of courses this winter to help boaters sharpen their skills. The North Star Flotilla of the U.S. Coast Guard Auxiliary is offering four courses starting February 4; two end in March and one in June. The four courses are Boating Skills & Seamanship, Sailing Skills & Seamanship and Navigation (beginning & advanced). On Monday, February 4, 2013 the Flotilla is offering an eight week course on Boating Skills & Seamanship and a Sailing Skills & Seamanship. 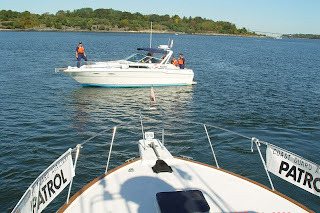 The power boat classes are $85 and sail classes $95. Both classes meet twice a week on Monday and Thursday for eight weeks. The navigation class meets Mondays for 17 weeks and the cost is $160. All courses are held at Toll Gate High School in Warwick. You can visit the Flotilla’s web site at www.northstarflotilla.com or call Roz Butziger at 401.739.6028. You can also join a local Flotilla which is the basic organizational unit of the Auxiliary. We have several in RI. If you feel strongly about the rewards you can get from serving your community and enjoy the water, the Coast Guard Auxiliary might be the right place for you to volunteer. You can serve doing on-water operations, in the Auxiliary's public education program, the vessel safety check program, be a radio watch stander, help with Coast Guard recruiting, work on marine environmental protection or with Coast Guard administration. Captain Arnold (Nick) Butziger, of the North Star Flotilla, said they are always looking for new members. The North Star Flotilla is located in Warwick in the Brewer's Greenwich Bay Marina/Chellos' Restaurant parking lot at the mouth of Apponaug Cove. For information contact Capt. Butziger at 401.739.6028. Best show value: Join the Rhode Island Salt Water Angler Association (RISAA) for $55/yr. and get free admission to monthly educational seminars and a monthly fishing magazine filled with fishing tactics, tips and news. RISAA members at the boat show include Bill Sokolowski (left), Joe Burr and George Allen. Visit www.risaa.org. What’s old is new: Capt. 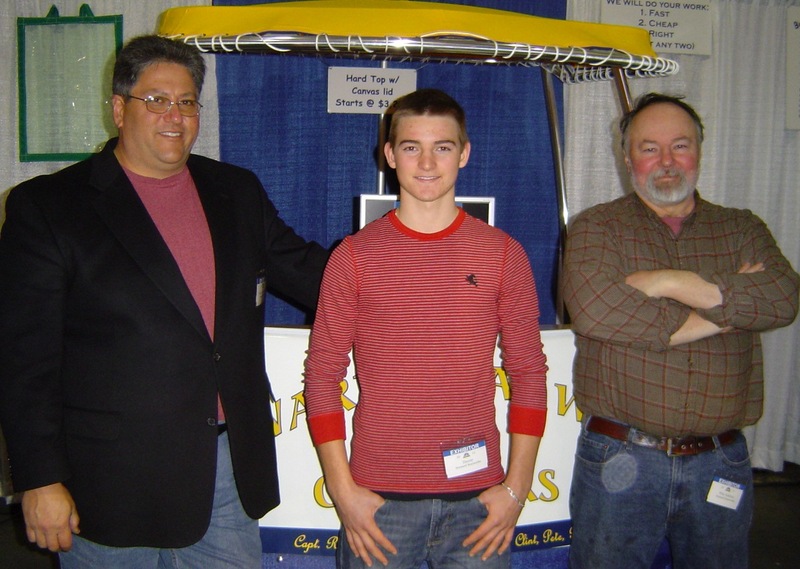 Rick Cataldi (left) of Seaward Boatworks with staff members Dante Crowther and Pete Ashton specialize in aluminum fabrication, T-Tops, railings, hardtops and canvas work. They also rebuild, meticulously restore and sell classic boats giving them a rebirth for many more years of service. Here are some highlights and a few of the vendors that got my attention at the Providence Boat Show this weekend. At the start of the show Janet Coit, director of the Rhode Island Department of Environmental Management (DEM), was awarded the John H. Chafee Boater of the Year Award by the Rhode Island Marine Trades Association (RIMTA). The award recognizes and honors an individual that has contributed to the success of the recreational boating industry or who has championed the cause to bringing recreational boating to the public. Seaward Boatworks of Warwick, RI has been in business since 1996. They specialize in aluminum fabrication, T-Tops, railings, hardtops and canvas. Capt. Rick Cataldi and his crew love to meticulously restore, rebuild and sell classic boats giving them a rebirth for many more years of service. Capt. Cataldi said, “What makes us different is the customer experience we offer. We aim to surpass customer expectations with the design and quality of our work.” Capt. Cataldi and his team have a variety of classic rebuilt power boats for sale including Sea Craft, Dusky, Bertram and Bonito boats. Visit www.seawardboatworks.com. East Greenwich Marina is located on East Greenwich Cove from the former Twenty Water Street location and south to Harbourside Lobstermania. The docks are well built, meticulously maintained (I pass them ten or twelve times a week during the summer) and their summer season runs from April 15 to November 15. Rates are $105 to $120 per foot. Lee Raymond of East Greenwich Marina said, “All docks have power, water, Wi-Fi, and cable and this year we are adding showers and rest rooms.” Visit www.eastgreenwichmarina.com. Ocean House Marina from Charlestown, RI had a new 32” Scout center console on display with more bells and whistles than I have seen in a while. This tough luxury sport fishing machine had an electric grille, refrigerator, two 15” electronics screens as well as all the fishing amenities you would want…. it even had a mister built into the T-top to spray you gently and keep you cool on those hot summer days. Nathan Anderson, regional sales manager for Scout said, “What we try to do is surprise customers with features they haven’t seen on boats this size.” The twin 300 horse power engines on the 320 LXF will allow you to go as fast as 58 mph. Ocean House Marina has a full line of Scout dual consoles, center consoles and cabin models and also represent Regulator, Maritime Skiff, Sunfish, Yamaha Outboards, Hurricane Deck Boats, Godfrey Pontoon Boats (San Pan, Aqua Patio & Sweetwater), Laser Boats, Polar Kraft Aluminum Fishing Boats and Walker Bay. Visit www.oceanhousemarina.com. I feel like I have owned a Glacier Bay. I have inspected them at countless boat shows, read about them, dreamed about owning one and talked to friends about them for at least six years. Glacier Bay boats are catamarans and offer a smooth ride, a stable ocean platform and plenty of room. Last year Glacier Bay remodeled their 27 foot cabin model placing the cabin entrance to the port side and moving the head to the rear of the cabin. This change enhanced the look of the cabin giving it more of a finished look. They also shifted entertainment center components by placing a sink and refrigerator to the starboard side. Glacier Bay is sold by Striper Maine in Barrington, RI and make duel and center console models too. Striper Marina also carries Pursuit, Key West, Cobia, Sailfish and Southwind. Visit www.stripermarina.com. Ocean State Boat Club (new last year) allows you to experience boating without the hassles of owning a boat. It is a convenient and affordable alternative to boat ownership. According to their website and show staff, you pay an annual fee of $2,850 and then get to take out one of seven power boats ranging in size from 22’ to 26’ as many times as you want. All you pay for is the fuel. Ocean State Boat Club pays for dockage, insurance, repairs and does all the cleaning and maintenance. The offers professional training to ensure safe and enjoyable outings on the water. They are located a Brewers Yacht Club on Warwick Cove in Warwick, RI. Visit www.oceanstateboatclub.com. The January Rhode Island Saltwater Anglers Association (RISAA) seminar will be held Monday, January 28, 7:00 p.m. at the West Valley Inn, 4 Blossom Street, West Warwick, RI. Topics to include First Aid for Fishermen by Gary Johnson a 26 year veteran with the Coventry Fire Department and 29 years as an EMT/Cardiac. Dennis Zambrotta will be the second speaker addressing Surfcasting Block Island. Dennis has been surfcasting for stripers for past forty years and is author of a new book called “Surfcasting Around The Block”. Dinner served by West Valley Inn between 5:30 p.m. and 6:30 p.m. Public is invited to attend with a $10 donation to the scholarship fund, RISAA members no charge. Cost of dinner is separate. Cod fishing has been good when boats have been able to get our. Ken Ferrara of Ray’s Bait & Tackle, Warwick said, “Customers buying clams have been catching cod close to shore off Jamestown.” The Francis Fleet party boats reported a good cod bite last week with some anglers limited out with their larges fish weighing seventeen pounds. Visit www.francesfleet.com . The Seven B’s has experienced a good cod fishing bite too with their largest fish in the mid teens and several anglers catching five to six fish. Visit www.sevenbs.com . Anglers should call before making the trip to boats as inclement weather often leaves boats dockside this time of year. RISAA member Larry Norin reports on a cod trip he took aboard the Island Current III out of Snug Harbor, RI. Larry said, “(we) did 1/2 drifting, 1/2 double anchored over a wreck throughout the day. Both produced well… Only shorts (caught) with the jig and the lighter rod… did the trick with the bait… We were fishing in water from 80-120 feet south and east of Block Island towards Cox’s Ledge. I caught … only a handful of short cod mostly on the jig and ten keeper cod, six of which were all in the 30" and 10 pound range. Nice quality fish on the boat with about 18 other fisherman. The two largest cod were 32 and 37 pounds”. Visit www.islandcurrent.com.